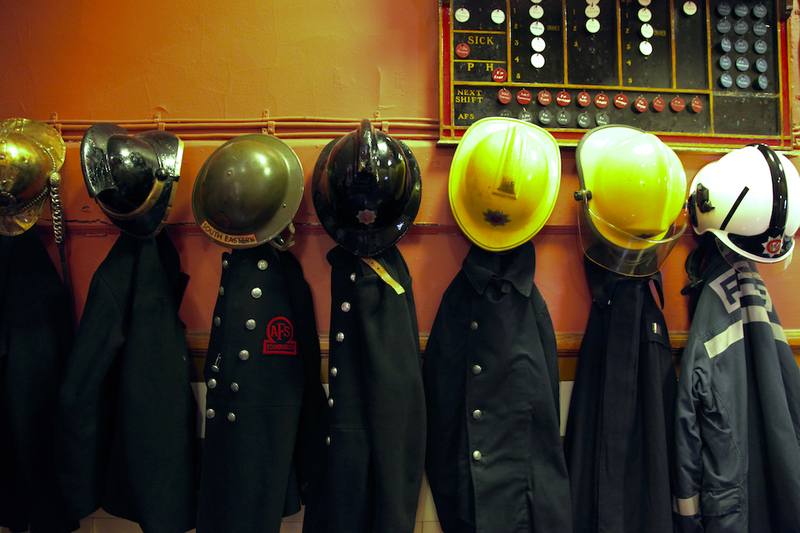 The campaign to save the Museum of Fire has stepped up a notch with campaigners planning a protest, with fire engines, travelling from the fire station to the Scottish Parliament, on Thursday 11th February. Meet at the fire station, Lauriston Place at 11.00am. It would be great to get as many people along as possible to support the walk down to the Scottish Parliament. Tollcross Community Council has also sent out letters asking about the closure of the building and Museum of Fire to both the Scottish Fire and Rescue Service head, Alasdair Hay, and Deputy Assistant Chief Officer John Miller, head of service delivery in the East of Scotland. 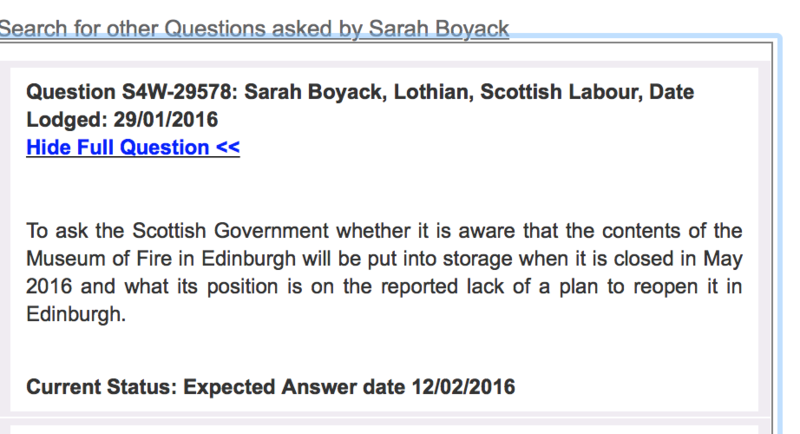 We are awaiting replies to these letters, in the meantime Sarah Boyak MSP has asked a question in parliament about the closure, and also send a letter to the SFRS asking them about the closure of the fire station. If you cannot attend the march on the 11th of February you still have time to fill in the petition online on the link below, which helps show the strength of feeling about the museum’s proposed closure. To be where all decisions are made and not to the good .